.-- In addition to training young pups, the pads also work well for assisting sick or aging dogs, making dogs more comfortable during transport, or offering an alternative to dogs without timely outdoor access. -- The portable pet pad and tray system allow your cat or dog to have an acceptable place to relieve themselves, which ensures a cleaner house, apartment, or patio. Ideal for pets who are home alone during the say, traveling in cars, and incontinent. 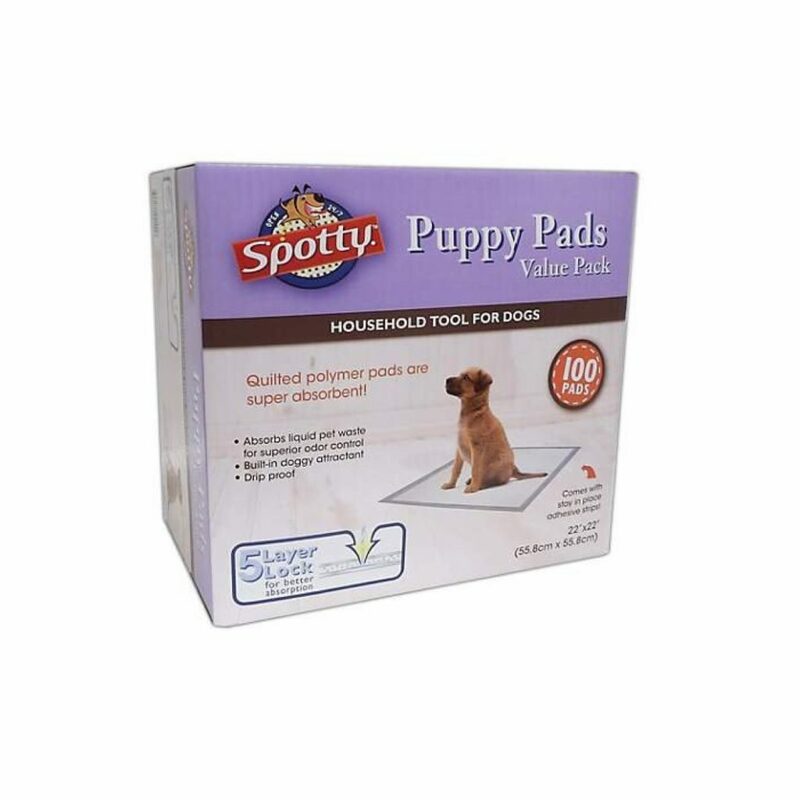 -- Spotty's leak-proof pads are better than using newspapers, where ink can get on your pet's paws and leave stains in other places. -- Antibacterial & odor eliminating scented issue. -- Cleaning the pet bathroom mat is quick and easy. Clean-up consists only of rinsing the three layers with soapy water. -- Each pad measures 22x22 inches (LxW), with the center pad measuring 19x19 inches (LxW). The pad has a 1.5-inch plastic border on all sides to prevent overflow. -- Great for Travel: Good for road trips, hotel stays or even to add that extra protection in a pet crate or under the litter box.